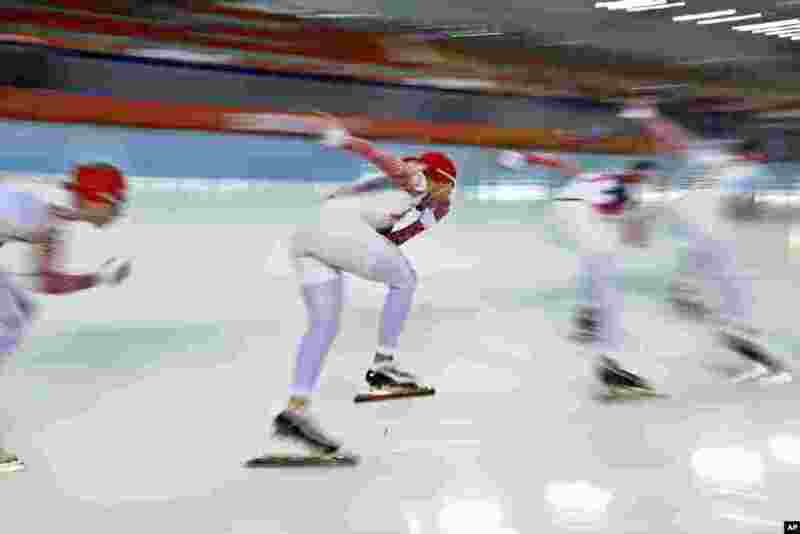 1 Russian speed skaters train at the Adler Arena Skating Center ahead of the 2014 Winter Olympics in Sochi, Feb. 5, 2014. 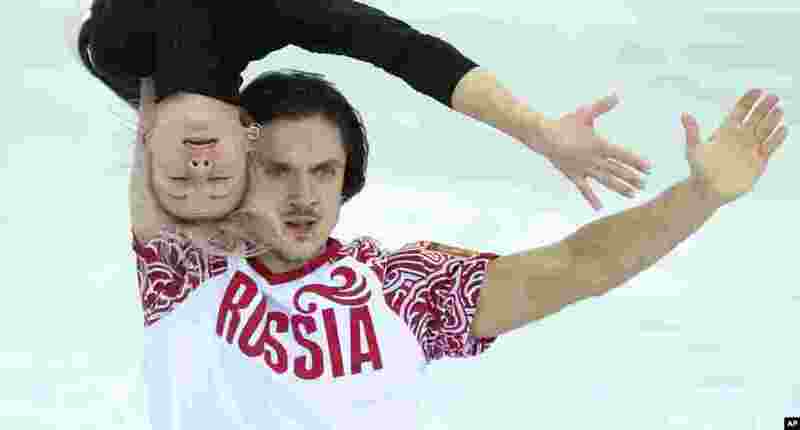 2 Russia's Tatiana Volosozhar and Maxim Trankov practice their routine at the figure stating practice rink ahead of the 2014 Winter Olympics, Feb. 5, 2014. 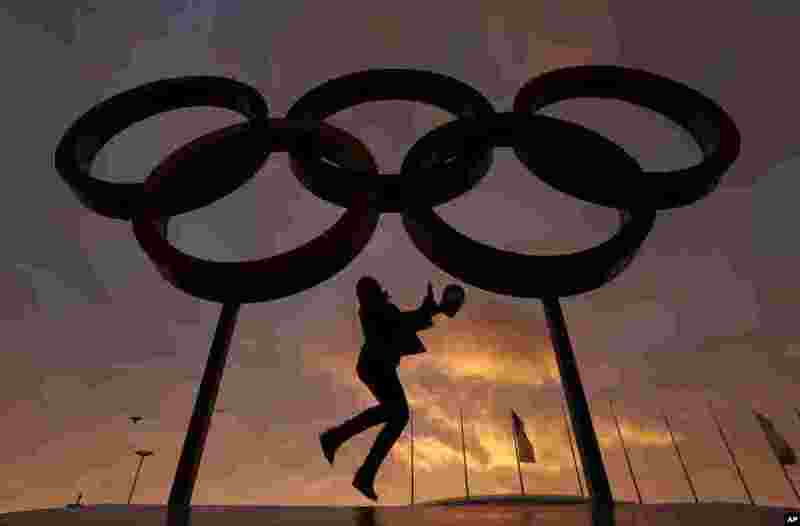 3 A woman poses with the Olympic rings in Olympic Park as preparations continue for the 2014 Winter Olympics, Feb. 5, 2014. 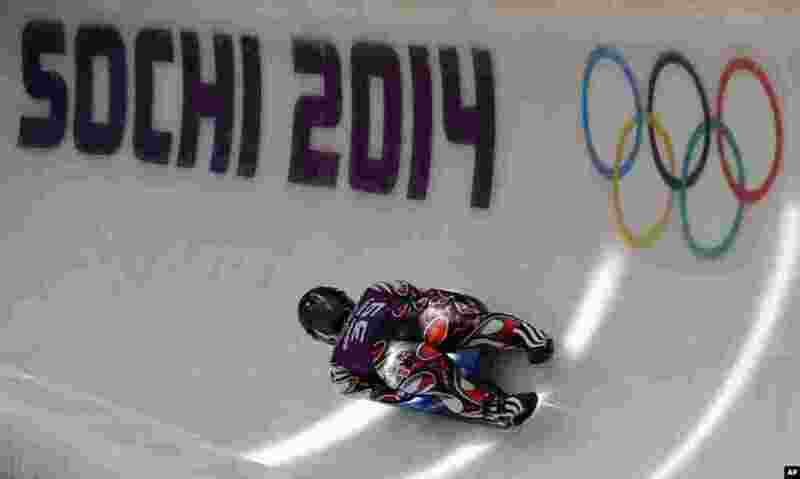 4 Hidenari Kanayama of Japan completes a training run in the men's luge singles ahead of the 2014 Winter Olympics, Feb. 4, 2014.